Starring Adam Sandler and Jennifer Aniston this romantic comedy is full of laughs. To cover up a lie involving a wedding ring pick up line, Danny Maccabee decides to pretend that his assistant Katherine is his soon to be ex-wife to impress the new love of his life. 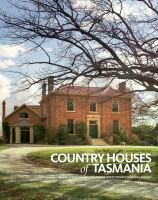 Travelling through the beautiful wild landscapes of Tasmania there are a number of beautiful historic homes. The homes in this book are privately owned and the author has been granted special permission to access them. Pete Newman is an exercise, nutrition and wellness coach who has written Eat, Move and Thrive to clarify health and fitness topics and to help you be proactive in obtaining great health. The book has 5 chapters from Understanding the food industry to creating a culture of health. Filled with great information and guidance, with a strong focus on exercise and creating a healthy lifestyle. This book looks at the lives of ten men who chose to venture into the northern high country of Tasmania from the 1870s to the 1990s. These Mountain Men all contributed to its development of natural tourism and development in their own ways and each has a special story to tell. From hunters, mineral prospectors to horse riders they all had one thing in common, which was a true love for the Tasmanian high country. Based on a true story, The Lady in the Van is about a homeless old lady Miss Sheppard who in 1974 moved her broken down van into Alan Bennett's driveway as a guest. The stories contained in this book in the Chicken Soup for the Soul series celebrate the very best in human spirit and even though it is aimed at teenagers and young adults, it is worth reading for all of us. Marina Passalaris author of this beautiful book has worked as a make-up artist, grooming and department educator in modelling agencies all over the world. 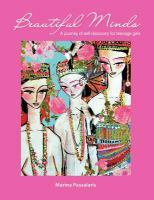 She realised early on that there was more to learning about our outer beauty, girls need to be taught about inner beauty too, that's how this book Beautiful Minds came about. The book is a tool that young girls of any age and background can read to help enrich their lives. Book Review - The next happy : Let go of the life you planned and find a new way forward By Tracey Cleantis.
" A bold, brave and incredibly relevant book". Lee Woodruff, New York Times Best selling author. Tracy Cleantis classes herself as the Dr Kevorkian of dreams. Through The Next Happy she helps people work through grief and emotions related to failed dreams. She covers the stages of grief in detail and supplies some self help points at the end of each chapter, which are very helpful. She takes a different point at looking at failures in life and helps you to refocus on what new opportunities you may have.